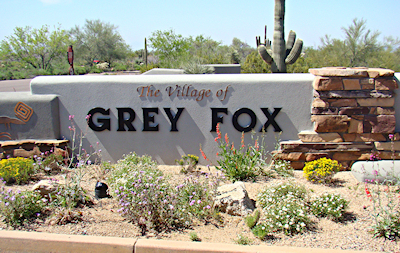 Grey Fox is a large custom home community located between the Cochise and the Apache golf courses at Desert Mountain. This sprawling village features desirable home sites and custom built homes for even the most discerning buyer. With stunning views of the mountains and city lights, these gorgeous Scottsdale homes make the perfect seasonal or primary residence. Grey Fox boasts a convenient location near the front gate of Desert Mountain and just moments from three of the club’s most celebrated courses: Apache, Cochise and Renegade. There are also tons of fabulous amenities available at the nearby Sonoran Clubhouse, a favorite among Desert Mountain residents. Take advantage of an extensive tennis facility, two sparkling swimming pools, a world-class fitness center and spa. The Sonoran Clubhouse was completely renovated in 2016 into one of the finest clubhouses in Scottsdale. If you are interested in any Desert Mountain homes for sale, you can set up a viewing by calling (602) 791-0536. Desert Mountain is a large gated community set high in the Sonoran Desert. Tucked against the vast Continental Mountains, this 8,000-acre development features a stunning selection of luxury homes. Its 32 cozy subdivisions, known as villages, offer distinct settings in which to enjoy the rich landscape and resort lifestyle of North Scottsdale. Each village offers something unique in terms of views, real estate and amenities. Purchase a secluded home site perched along the mountainside, or find a comfy cottage resting along the pristine golf course. There are many different types of homes to choose from at Desert Mountain. Looking for a great Scottsdale golf home? Desert Mountain homes are some of the most valued golf properties in the area. 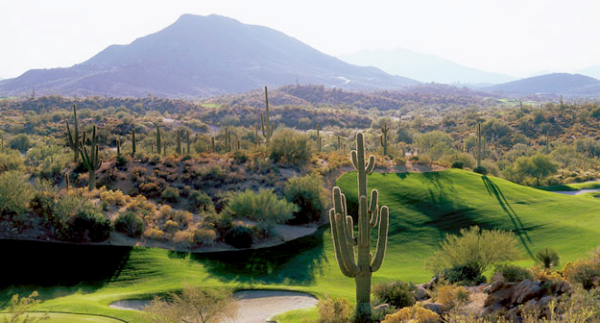 Home to six renowned Jack Nicklaus courses, Desert Mountain is truly a golfer’s paradise. Find a golf home that fits your style and preferences. Whether you seek a simple cottage with convenient access to the clubhouse or an impressive property that backs to the fairway, your dream home awaits in one of Desert Mountain’s exclusive luxury villages. At Trillium Properties, we want to make your initial home search as simple as possible. We are here to help you pick out the right Desert Mountain property. Simply email us your criteria for a home, and we’ll email you the latest listings that match as they come on the market. You can schedule a showing of homes by calling us at (602) 791-0536 or emailing Carmen@TopScottsdaleHomes.com.